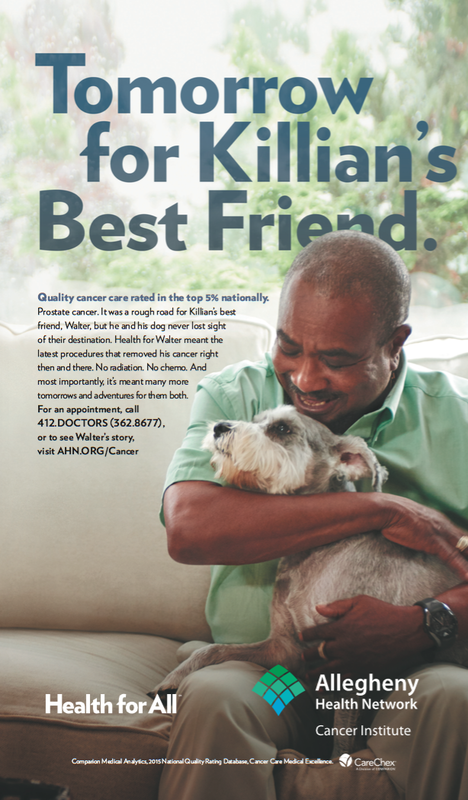 This powerful campaign featured a select few real life cancer patients that are now in remission. We tell their story of how cancer not only effected themselves but the loved one's that surround them, and how they have Allegheny Health Network to thank. 'Tomorrow' was the first integrated campaign my partner and I produced. The vision originated as a 30 second broadcast spot, but one day into filming we realized this deserved much more than just 30 seconds. Onset we were so compelled by just one women's story that we chose to give her all 30 seconds and used print, digital and social mediums to tell the rest. Allegheny was just as inspired to change the capacity of how this campaign could unfold. And with raw and true stories to tell brought a piece as powerful as the patients who beat Cancer itself.